Are you looking for somewhere to stay in the UK? Somewhere that’s incredibly peaceful, tranquil, historic and set in wonderful countryside? 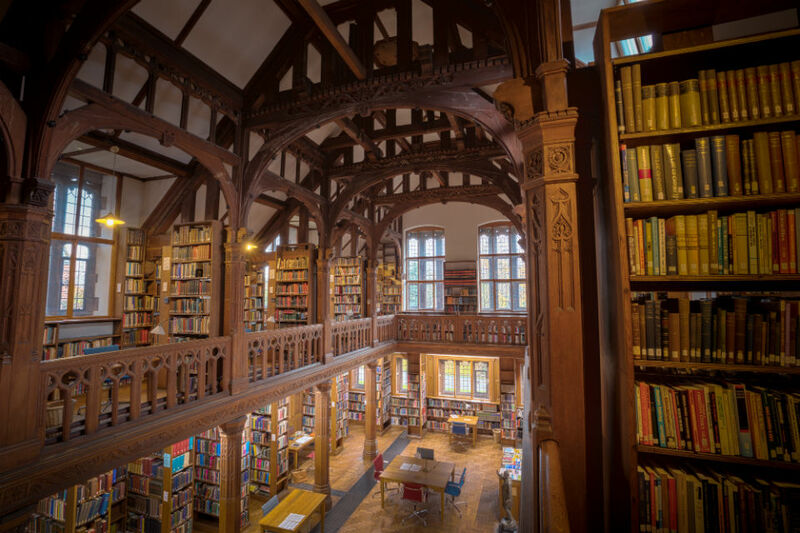 And if you’re a reader or book lover then Gladstone’s Library will be right up your street. Yes, it’s a genuine library – and a very old one at that – but it also offers accommodation. The library is a national museum is a memorial to Victorian era prime minister, William Ewart Gladstone. He founded the library in Hawarden, Wales, in 1894 and it was his wish that the volumes it contained should be shared with those who did not have the means to buy books themselves. Today there are 26 bedrooms available to travellers within the library building. There’s also a sitting room (with open fire) that can be used by guests and reviewers speak highly of the onsite restaurant. The restaurant incidentally, is open to non-residents for lunch or afternoon tea – breakfast and dinner are served to guests only. It’s described as Wales’ best-kept secret. It’s the perfect place for anyone who is looking for tranquility. Many guests are writers or scholars who make the most of its unusual and quiet atmosphere to get on with their own work but everyone is welcome. Artists, photographers and other creatives find that the place inspires them. For others it’s simply a quiet retreat. At time of writing, bed and breakfast costs £65 per night which is fabulous value especially when you consider the building, the quarter of a million books and the fabulous local countryside. The pretty village of Hawarden is just inside the north Welsh border. The nearest city is a fascinating place to visit – Chester, an ancient walled city and is only eight miles away. Liverpool is just half and hour away by car and Hawarden is just over 200 miles from London – the car journey takes between three and four hours depending on the traffic.